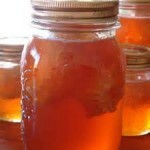 Pre Order a Jar of 100% Raw Locally Produced Honey. To Schedule a Pick-Up Time Call (802)-324-5769. Pick-Up is Available at my home in Central Vermont. Email me for details. These Products are crafted by Anthony. The Shaman’s Touch Apiary is a provider of Artisan Honey, Honey Based Soaps, Bees Wax Candles, Herbal Tinctures, & Metaphysically Rooted Fantasy Novels. $15 1.5 lb Jars of 100% Raw Local Vermont Honey. Available as long as supplies last. These Products are crafted by Anthony. The Shaman’s Touch Apiary is a provider of artisan honey, honey based soaps, candles, tinctures, & fantasy novels. 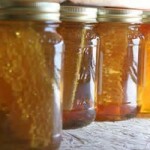 $25 for a 2.5 Lb Jar of 100% Raw Local Vermont Honey Products. Available as long as supplies last.